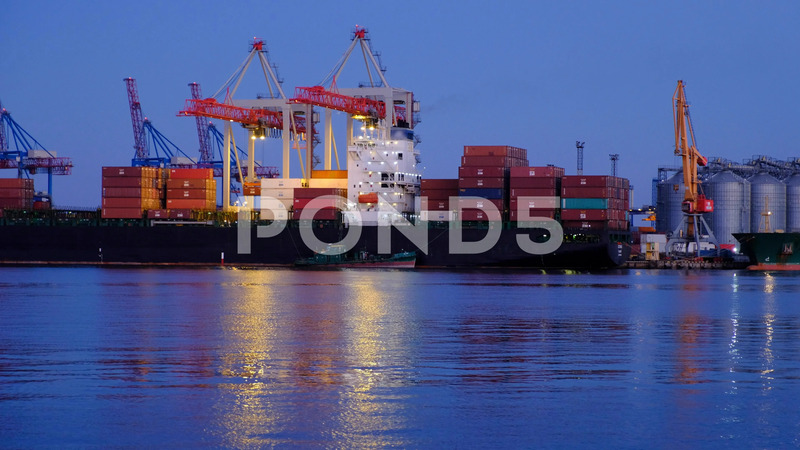 Description: On the quay under unloading there is a large cargo ship. Many portal cranes. Beautiful sea sunset. Sunset on the Black Sea.